There are many paranormal stories for young adults that are based on vampires. 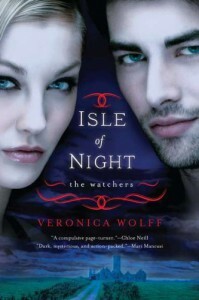 What sets Isle of Night, by Veronica Wolff, apart from other stories is the basis of the story. It isn’t every day that you have a world where males are categorized as the vampires and females are The Watchers. It intrigued me, that’s for sure. Isle of Night is set on an island where females survive to be the best of the best. To become a Watcher, chosen females must train, learn, and defeat their opponents. 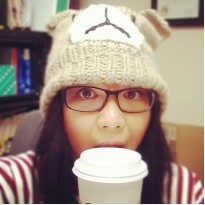 Annelise was on a road to start fresh from a not-so-happy childhood. She finally has what she wanted, until a dark and mysterious man promises her a brand new life worth taking a chance on. Annelise quickly learns that it will be a long road to victory, and in order to do so, she must beat every other recruit. If she doesn’t, failure would only mean death. Annelise was an interesting heroine to get to know. She is a very opinionated main character. Annelise is described as brilliant, bordering on genius. I feel that Annelise’s actions don’t always reflect that trait. She is quick to react, with a wit to match, but doesn’t always think about the consequence. Annelise is a little reckless, and definitely filled with bravado. Wolff writes her in a way that a reader relates. In this insanely competitive world, actions have to come first and Annelise definitely proves that point time and time again. I didn’t particularly love or hate any of the supporting characters. A few I liked over others, but there wasn’t one specific thing that made them stand out. There were obvious villains, the good guys, and a couple characters that I just didn’t know what side they were on. I think my expectations of this book were high, demanding something that my reading preferences and I unfairly needed. Isle of Night has its own world set within a contemporary setting. Most of the story takes place in this mysterious island, not fully explored within this book. There are many variables, including the weather, strange creatures, and even unique locations. Isle of Night is promising. I want to know more about the Watchers, this mysterious island, and the about the people who inhabit it.